Marketers can use native video ads to build brand awareness with rich visual stories and target the right audience by traits such as job title, seniority, company name, industry and skills. 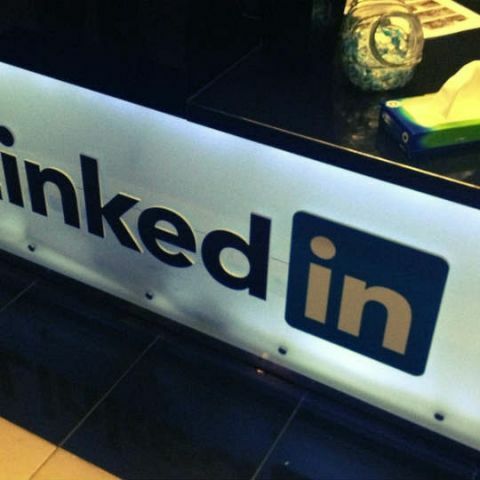 Microsoft-owned professional networking platform LinkedIn on Wednesday rolled out videos for "Sponsored Content" and "Company Pages" to help businesses reach and engage with the right audience. Marketers can use native video ads to build brand awareness with rich visual stories and target the right audience by traits such as job title, seniority, company name, industry and skills. "By 2023, 75 per cent of all mobile traffic is expected to be video and our internal survey shows that Indian marketers are planning to spend an average of Rs 15 million on video marketing this year," Virginia Sharma, Director Marketing Solutions, LinkedIn India, said in a statement. "The year 2018 will see the rise of the B2B video, where brands and businesses will tell a creatively rich story using sound and motion to connect to decision-makers, earn trust and become thought leaders in a professional environment," Sharma added. New formats of videos such as explainer videos, employee advocacy videos, TV commercials (TVCs) and testimonials will take the B2B video beyond the talking head this year, the company noted. The feature was launched in private beta in October, in which over 700 advertisers, including GE, Philips and Audi Canada tested video for "Sponsored Content". In December 2016, Microsoft completed the acquisition of LinkedIn for over $26 billion. Which application is best for watching the videos in Windows Phone?